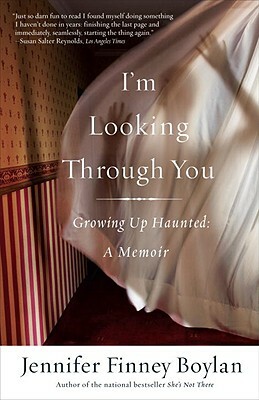 From the bestselling author of "She's Not There" comes another buoyant, unforgettable memoir--"I'm Looking Through You" is about growing up in a haunted house...and making peace with the ghosts that dwell in our hearts. For Jennifer Boylan, creaking stairs, fleeting images in the mirror, and the remote whisper of human voices were everyday events in the Pennsylvania house in which she grew up in the 1970s. But these weren't the only specters beneath the roof of the mansion known as the "Coffin House." Jenny herself--born James--lived in a haunted body, and both her mysterious, diffident father and her wild, unpredictable sister would soon become ghosts to Jenny as well. "I'm Looking Through You" is an engagingly candid investigation of what it means to be "haunted." Looking back on the spirits who invaded her family home, Boylan launches a full investigation with the help of a group of earnest, if questionable, ghostbusters. Boylan also examines the ways we find connections between the people we once were and the people we become. With wit and eloquence, Boylan shows us how love, forgiveness, and humor help us find peace--with our ghosts, with our loved ones, and with the uncanny boundaries, real and imagined, between men and women. Description: 279 pp., includes reader's guide. Nearly new, no creases or markings, firm binding. The author of the best-selling "She's Not There" tells more about her transgender evolution from James to Jennifer, and the Pennsylvania haunted house that was a setting for her discovery of being a gender misfit. The author teaches at Colby College.